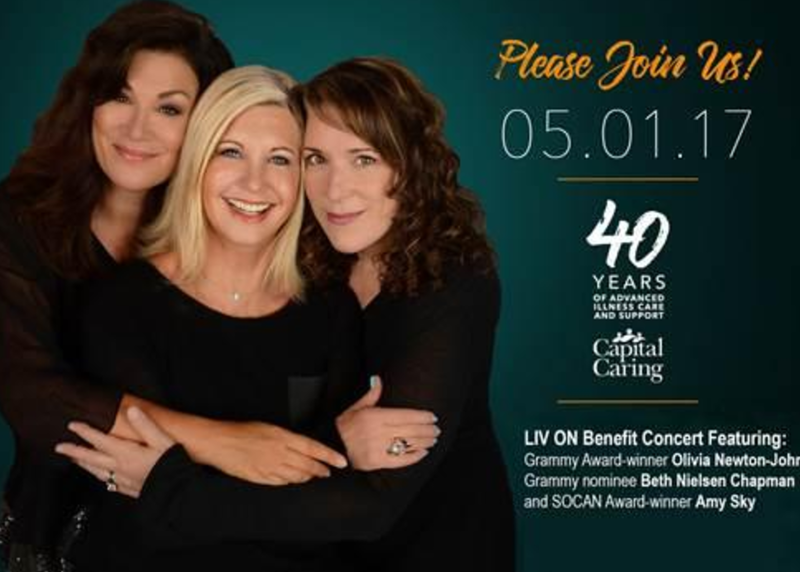 LivOn Benefit Concert for 40 More Years of Capital Caring - The Hospice Insider is the Place To Land for Hospice News, Information, Resources and HospiceFact. Celebrate all stages of Life. As part of its year-long 40th anniversary celebration, and in recognition of the 10th annual Hospice Comes to Washington event, Capital Caring – the largest nonprofit hospice provider in the mid-Atlantic – will host a special benefit acoustic concert with Grammy Award-winner Olivia Newton-John, Grammy nominee Beth Nielsen Chapman, and SOCAN Award-winner Amy Sky on May 1, 2017, at the Ronald Reagan Building in downtown Washington, DC. 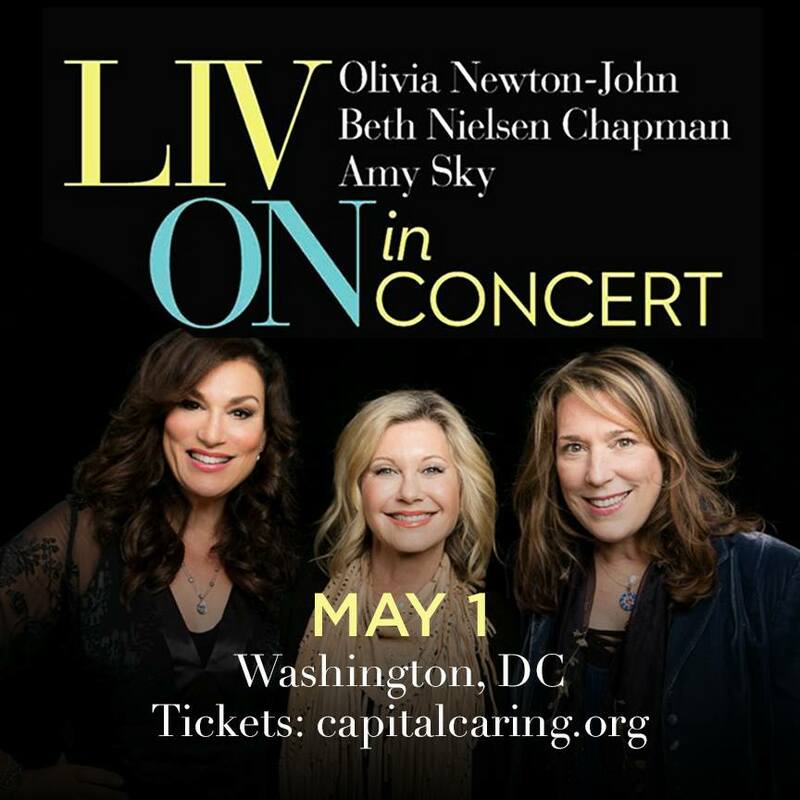 At the May 1st event, Olivia Newton-John, Beth Nielsen Chapman, and Amy Sky will perform songs from their newly recorded album, LIV ON (livonmusic.com). The 11-song collection seeks to empower individuals who are facing a time of challenge with lyrics of hope and compassion. Concert attendees will learn about the singers’ own grief journeys and how they channeled their healing into this heartfelt album. The event will be particularly meaningful for those who have suffered loss and are seeking inspiration through the voices and music of the performers, as well as talking to others who have traveled similar journeys. The LIV ON project grew out of the three artists’ personal experiences with loss and illness, which they all survived to LIV ON and celebrate each day with a depth of gratitude. 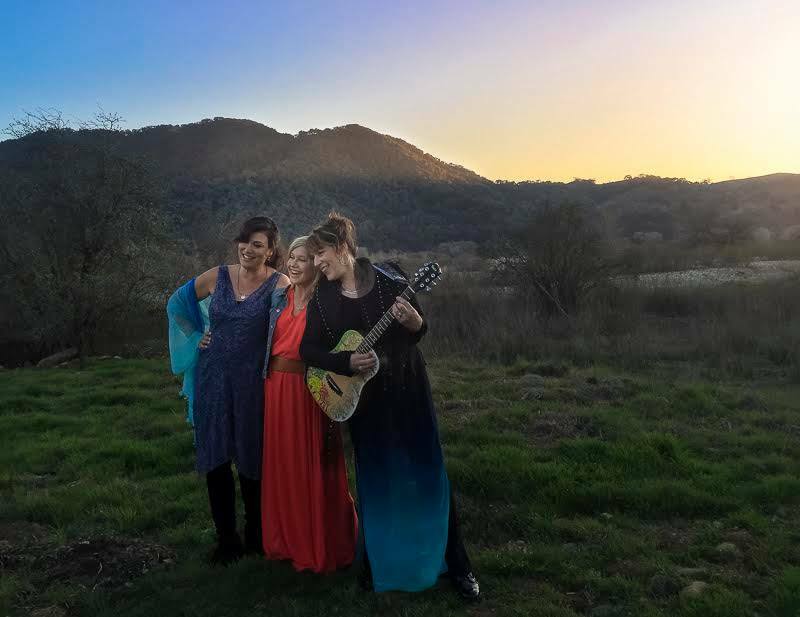 This labor of love stemmed from the trio sharing their stories together and expressing their deepest feelings from the most difficult to the most celebratory. It’s the hope that this music can uplift hearts burdened by grief while at the same time bring comfort to the listener. Capital Caring will be celebrating this anniversary all year long! Events and receptions will be held in each of our neighborhood offices to commemorate our work to simply improve care for all the moms, dads, and kids served every day. 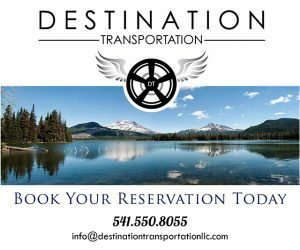 The celebration will be capped off at this year’s Gala with a special, once-every-40-years blowout! Thanks to Capital Caring’s leadership team, Board of Trustees, staff, volunteers, community partners, and dedicated supporters for helping us care for nearly 110,000 families since 1977. We look forward to bringing warmth, comfort, compassion and world-class care to others in our community for decades to come.